The season of press conferences is upon us. It seems like it never ends, and each one has its own little piece of drama or soundbite of stupidity that makes one forget that rarely something is being said. 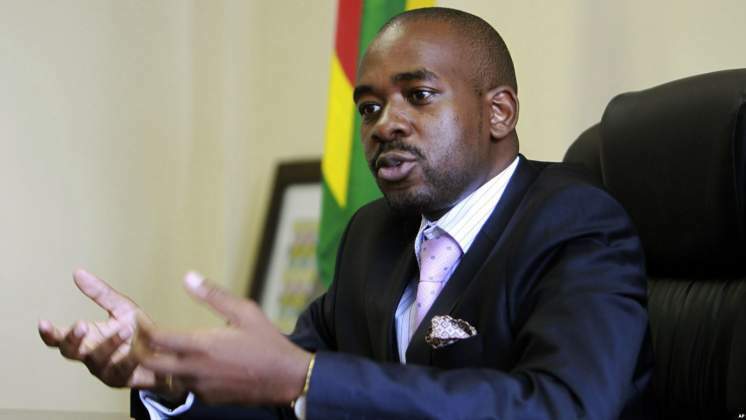 Today was another press conference, this time by Nelson Chamisa, the leader of the MDC-Alliance. And today, I have to admit that I was shocked. More than being shocked, now I am also scared for the future of our country, both in the short term as well as in the long term. Seldom have I heard a leader with that heavy a responsibility on his shoulders proclaim such utterly irresponsible statements. Who in his right mind can compare the ZANU-PF of the new dispensation, cleansed from the G-40 cabal, to despicable organisations like Al-Shabab, Al Qaeda or ISIS?! On the one hand you have a party trying to make good on promises of democracy and openness, ensuring the most free and fair elections Zimbabwe has ever seen, on the other hand you have terrorists who burn Christians alive and abduct girls to become their slaves. This is just an outrageous comparison, and Chamisa should clarify that he misspoke immediately. But Chamisa isn't a real leader, one that accepts that he can make mistakes. We have seen this all along the campaign trail, when he verbally abused Dr. Khupe, and also when he declared himself winner of the harmonised elections before the polls were closed. And today, he continued to prove that he just isn't cut out to be a true leader. To prove this point, when asked whether he would accept the ruling of the Constitutional Court regarding his petition against the results of the election, he answered that he will first have to "assess the case". That is the answer of a dictator, somebody who can only accept a judgement that is favourable to one's own case. This is not the answer of a leader upholding the rule of law. This is not the answer of a leader of our nation.